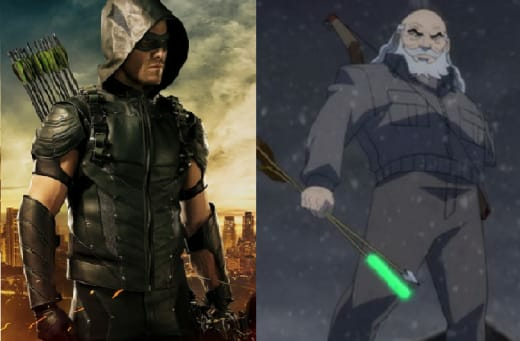 DC's Legends of Tomorrow Heading to 2046 and an Older, Goateed Oliver Queen! Oliver Queen is coming to DC's Legends of Tomorrow. But not just any Oliver Queen. Stephen Amell will play the character he knows so well in a way he has never played him before – goateed, one-armed and 30 years older! That's right, the team is heading into 2046 where they'll run into the Green Arrow. 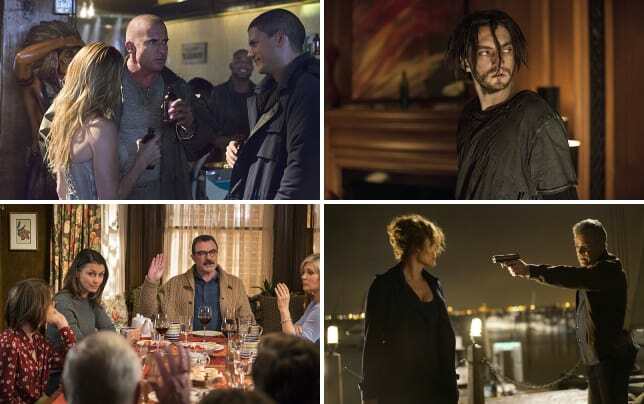 Executive Produce Marc Guggenheim said it's a nod to character's appearance in the Dark Knight comics. Oliver Queen isn't the only character who will be featured on DC's Legends of Tomorrow Season 1 Episode 6, however, as Oliver's son, Connor Hawke, who has not been incorporated into Arrow in any way as of yet, but who becomes the second Green Arrow in the comics, will also make an appearance. Alright guys. Who is so in love with DC's Legends of Tomorrow they can't stand it?